The Cascade river dumps into the Skagit River near Morblemount, WA. 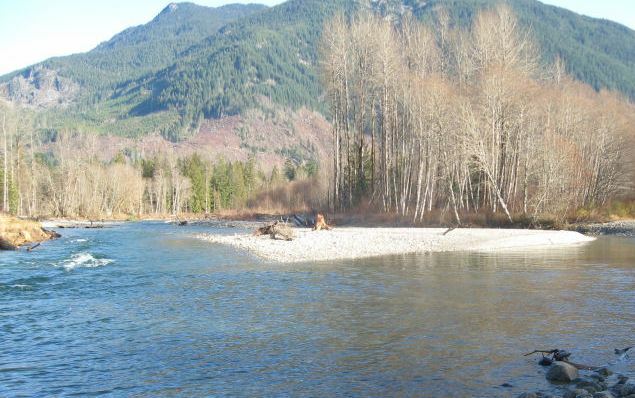 The Cascade river much like the Skagit is rich with salmon and steelhead offering a variety of excellent fishing opportunities. Cascade River fishing access can be found in the maps below. Good luck and Happy fishing. The Cascade river offers summer run Steelhead and summer, winter and fall run Salmon. This fishery generally allows 4 Salmon per day, Min size of 12″ in length. and 2 hatchery Steelhead. Sniper! Maybe you see somebody else maybe you don’t! Cascade River Water Levels are provided by the United States Geological Survey data system.